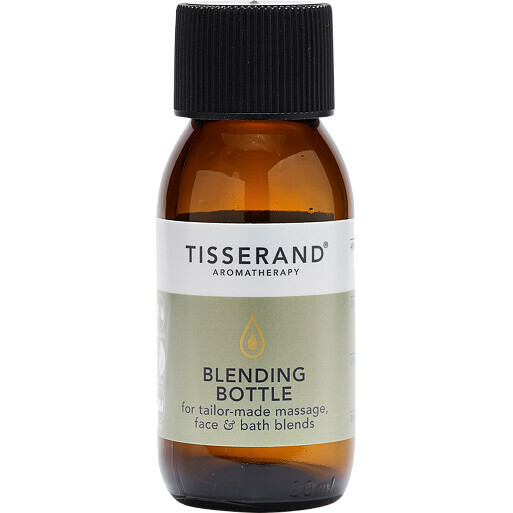 Tisserand Blending Bottle is an empty bottle that can be used to create and store customised massage and bath blends. Suitable for re-use. Facial Massage: combine 2 drops of your selected essential oil with at least 10mls of blending oil. Body Massage: combine 5 drops of your preferred essential oil with at least 10mls of blending oil. To extend the life of a previous blend, add 10mls of Wheatgerm Oil (the Vitamin E content acts as a natural anti-oxidant) and ensure you keep the blend refrigerated.